In this bestselling collection of essays and poems, Jesmyn Ward gathers a new generation of writers and thinkers to speak on race. From Claudia Rankine to Rachel Kaadzi Ghansah, Kiese Laymon to Carol Anderson, these voices shine a light on the darkest corners of American history, wrestle with the struggles the country faces today and imagine a better future. 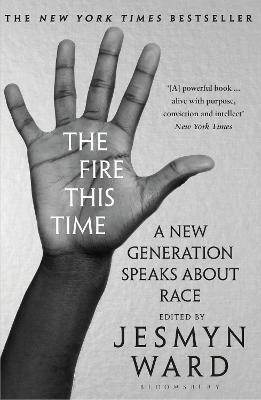 Envisioned as a response to The Fire Next Time, James Baldwin's groundbreaking 1963 essay collection, The Fire This Time considers the black experience in modern America. Significant progress has been made in the fifty years since Baldwin's essays were published, but America is a long distance away from a post-racial society - a truth that must be confronted if the country is to continue to work towards change. Baldwin's 'fire next time' is now upon us, and it needs to be talked about. Sage, urgent and impassioned, this is an essential collection edited by one of America's greatest writers.